Wow, on Don Lemon's CNN show at night, a 60 year life long Democrat, Professor Alan Dershowitz [Prof of Law at Harvard Law School], said that if the Democrats nominate Rep. Keith Ellison, D-MN, as chair of the Democrat National Committee, "the Democrats will never win another national election". He furthermore said that he, as a 60 year life long Democrat will resign from the Democrat Party, never donate again to it, and urge others of his fellow Democrats to not contribute to the party. Talk about a man with intellectual honesty and integrity, I salute Alan Dershowitz. 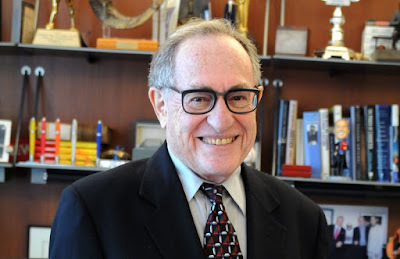 Bravo Alan Dershowitz! There are too few Democrats and Republicans these days with the intellectual honesty as you.